Galatasaray defender Yuto Nagatomo said Tuesday he is eager to represent Japan at the 2020 Tokyo Olympic Games if he is picked as an overage player for the men’s under-23 squad. 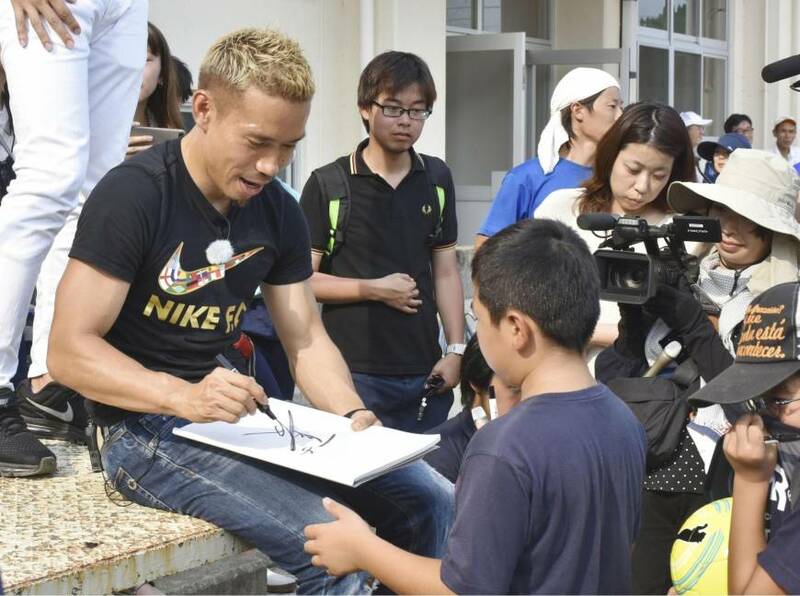 Speaking at an event in Tokyo, the 31-year-old Nagatomo said he is ready to answer the call from Olympic men’s soccer coach Hajime Moriyasu to join the squad, which can field up to three overage players. The former Inter Milan and FC Tokyo defender gave a ringing endorsement of Moriyasu, who is tipped to fill the senior national team position vacated by Akira Nishino following the recent World Cup in Russia. Moriyasu was part of former Japan Football Association technical director Nishino’s coaching staff in Russia, where the Samurai Blue exceeded expectations by finishing second in Group H.
Nagatomo played the full 90 minutes in each of Japan’s four matches in Russia and was instrumental in helping the team reach the knockout stage for the first time since 2010.